Haad Tien Koh Larn Pattaya Thailand. Tien Beach is a mid sized beach here on the island. In as far as blue ocean and white sand this is the best. This beach has many restaurants and souvenir shops that are a little more upscale than at the other beaches, but still, has the flavor of Thailand. From what I have been told, this is a year round beach, with little fluctuation of tourist from season to season. The atmosphere here, well seems very relaxed and quiet. The people that visit here seem to come in smaller groups and there for not as much chatter that you would find amongst larger groups. 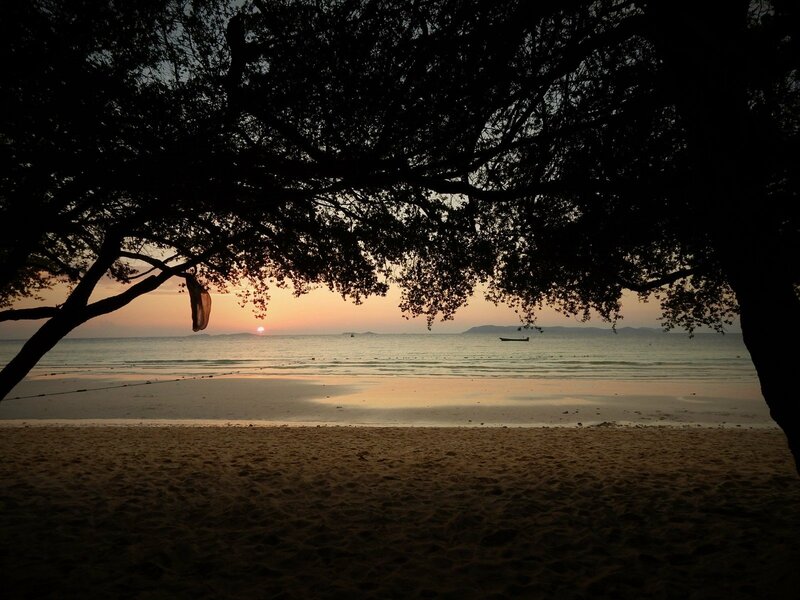 Tien Beach is accessible by speedboat, charter and local taxi. When coming by taxi there is a short walk of about five minutes from the drop off point, there are no roads to this beach. The sea is blue and the sand is white so what more can you ask for on a beach holiday? There are songthaews which meet every ferry at Koh Laan, and will take you to the beaches. Also you can hire bikes and motorbikes. The songteow cost to the beaches is usually B30, but further beaches cost a little more. They only run regularly from about 10am, so if you want to go earlier, you will need to treat them as a private hire. To get to the songteow start place, turn left from the pier, walk past the 7-11 on your left and a couple of hundred metres further along on your left is where they are.